Carol Carter is a national and international student success author, speaker, and entrepreneur. She began her career in college publishing with Prentice Hall, and became the first female assistant vice president and director of college marketing at age 26. Later, as V.P. 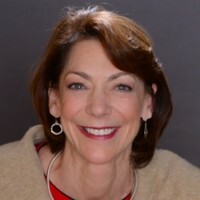 and publisher, she developed the widely acclaimed Keys to Success series to help college students connect their academic success to their future professional success. Now in its eighth edition, the series is available in multiple languages, and has been used by more than 3,000,000 students worldwide. In addition to theKeys series, Carol has also authored multiple other academic success books for middle, high school, and college-level students. In 2000, she started LifeBound, a student success company that provides academic and professional coaching skills training for K-12 and college faculty, advisors and staff. Carol’s business experience and her international work help shape her unique perspective on how institutions of learning, youth development, and businesses can prepare students from all backgrounds and levels of learning to thrive in an increasingly complex world. In 2014 she founded GlobalMindED to bring together leaders in education, government, business, and social enterprise committed to improving access and equity to education, employment and health. Now in its sixth year, the annual conference attracts more than 1000 attendees, including 100 first-generation college students who learn academic and professional skills while networking with companies who seek a diverse talent pipeline.